Samsung Galaxy S3 III GT-i9300 being released in the UK! The Carriers Vodafone, O2, and Three UK are now taking pre orders for the new Galaxy S III phone. 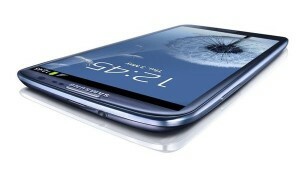 The new Samsung device is scheduled to be officially released at the end of May 2012. What does the new Galaxy S 3 have to offer to its potential buyers? Be the first one to have Samsung’s new flagship phone, the GT-i9300 Samsung Galaxy S3. If you don’t have any of these providers, Cellunlocker.net can provide you with a Samsung Galaxy S3 Unlock Code. Once your Samsung Galaxy S3 is unlocked, you can use the service provider of your choice. Unlock Samsung Galaxy S3 i9300!